Danny and the Dinosaur fans will love this hardcover storybook collection that features the best-loved stories starring Danny and his prehistoric pal. Now includes a sticker sheet! This 9x9 hardcover treasury features the full text and art for the original story of Danny and the Dinosaur, as well as Happy Birthday, Danny and the Dinosaur! ; Danny and the Dinosaur Go to Camp; Danny and the Dinosaur: Too Tall; and Danny and the Dinosaur and the New Puppy. Join these beloved friends as they go to camp, celebrate a birthday, and so much more. This compilation was originally published as Danny and the Dinosaur Storybook Collection. 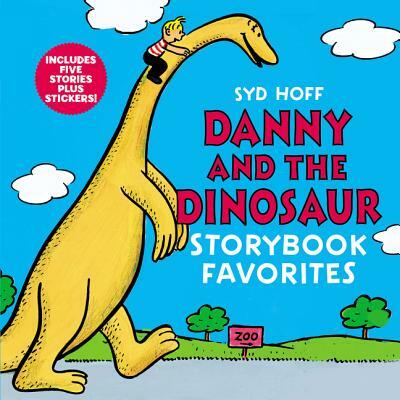 Syd Hoff has given much pleasure to children everywhere as the author and illustrator of numerous children’s books, including the favorite I Can Read books Sammy the Seal, The Horse in Harry’s Room, and the Danny and the Dinosaur books. Born and raised in New York City, he studied at the National Academy of Design. His cartoons were a regular feature in the New Yorker after he sold his first cartoon to that magazine at the age of eighteen. His work also appeared in many other magazines, including Esquire and the Saturday Evening Post, and in a nationally syndicated daily feature.